Vintageous Rags is a UK based vintage, retro and reworked boutique serving up the most consistently on point selection of 80s and 90s good-good I've come across in a hot minute. If you know me, you know that I have an undying love of all things retro, which is why I jumped at the chance to work with the quickly growing brand. 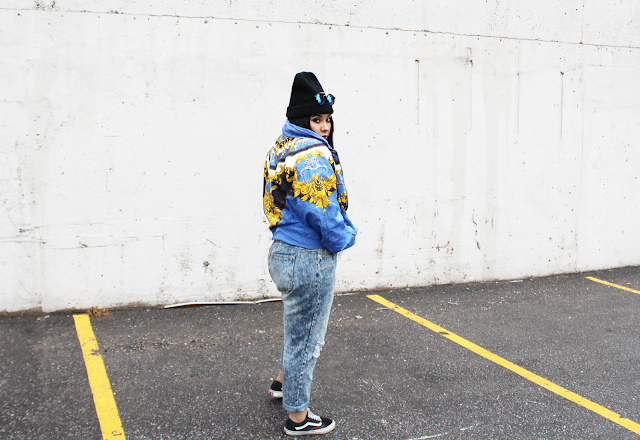 I picked out this bomber because I'm kind of having a moment with primary colours. It also gave me some very @badgalriri vibes which is always a bonus. 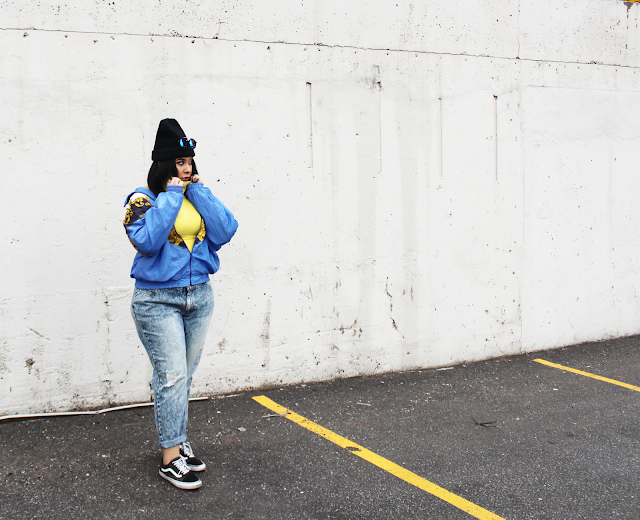 I think the yellow American Apparel turtleneck crop top and blue mirrored sunnies really pull the whole look together. 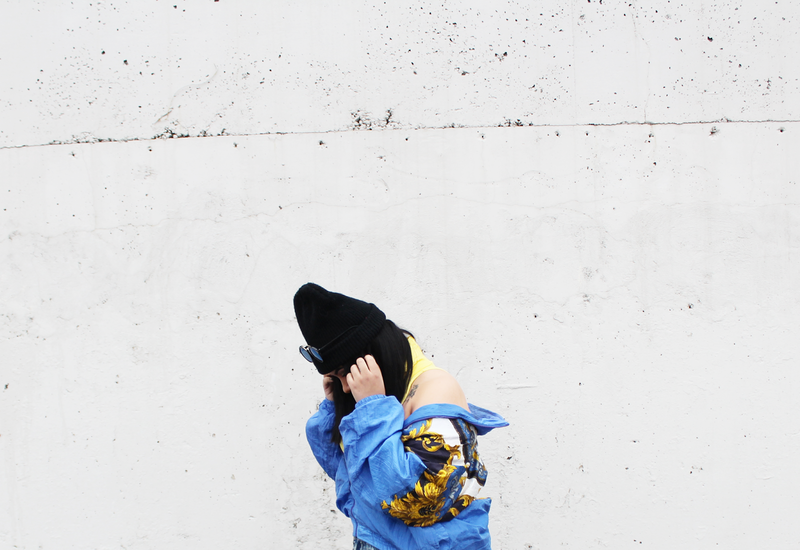 You can check Vintageous Rags out here on ASOS Marketplace and here on Depop. They're also planning to open up a location here in Toronto which I will definitely keep you guys posted on!